Today I’m interviewing Beth Campbell in order to give our readers a new perspective from an literary agency's point-of-view. Welcome, Beth, to the Fantasy-Futuristic & Paranormal Romance Writers Blog. As an on-line chapter of romance Writers of America, the chance to talk with an someone from a literary ageny is priceless. Please tell my readers a little bit about you, such as why did you decide to work for the agency? I’m a 23 year old former-English-major who loves cats, cooking, dancing, and reading (both critically and for fun). I started to strongly consider publishing as a career when I was a sophomore in college, and shortly thereafter, I landed a summer internship with BookEnds! I was drawn to this company in particular because of their reputation as an agency that advocates fiercely on behalf of their authors, and I came back to work as an assistant because I saw that it was true. The agents here have a lot of passion for their work and for helping people who are interested in publishing. I started working here about seven months ago, and I’ve learned a lot, taken on a lot of responsibility, and felt incredibly welcomed by the agents and the authors they represent. My cat, Blaze, helps me write. Please tell our readers about the agency you represent. BookEnds is a full service literary agency based in the suburbs of New York. We have three agents—all of whom have worked as editors at major publishing companies—their assistant (me), and a dog named Riggins who often hangs out in the office. We represent a wide variety of iction and non-fiction genres and can boast several dozen bestsellers. All of us are actively looking for new talent (when we’re open to submissions, that is), and work with our authors to make sure that a project is up to scratch before going out on submission to editors. You can find out more about us here: http://www.bookends-inc.com/about_us.html. It sounds cliché, but I have honestly loved reading for longer than I can remember. When I was a very small child (too young to read by myself), my mom bought me picture books that had audio cassettes included. I would listen to them until I had them memorized perfectly, and then I would pretend to read them by reciting the story outloud. I think the person who really got me into reading avidly was JK Rowling and the Harry Potter series. The books started becoming very popular when I was eight years old, so I picked the first one up and devoured it. I’ve been a devoted genre reader ever since, and I still have a very strong preference for fantasy and YA. My youngest son learned to read because of the Harry Potter books! For authors or prospective authors: what influences your decision to read a submission: the query letter, synopsis, etc. Absolutely the query letter. Unless we request additional materials, my agency has a query-only submission policy, so queries are constantly flooding my inbox. I read at least ten a day to keep on top of submission, and after a while they tend to blend together. Queries that have a great voice really jump out at me, sometimes even more so than the premise of the manuscript. Writing query letters can be extremely difficult, and when an author manages describe their story while showcasing their voice, it speaks well of their talent as a writer. A great tip! What do you see ahead in your career? I’m currently working as a literary assistant to the BookEnds agents. I have a couple of clients, and I’m heading a number of projects, but I’d like to make the transition to full literary agent some time within the next several years. In the more immediate future, I’m really looking forward to signing my first fiction author. I’m working on non-fiction manuscripts at the moment—and I quite enjoy it!—but fiction is my passion. I’m really hoping for a great urban fantasy, YA, sci-fi, or women’s fiction author some time soon. To authors who are struggling to find an agent or get published, the most important thing I can say is: don’t forget why you love to write. I’m sure I’m preaching to the choir when I say that rejections are really hard, especially when you’ve been receiving them for a good long while. It’s easy to become disenchanted or insecure, so it’s crucial to remember and experience love for your craft during this time period. When you’re querying one project, start working on your next. Keep improving yourself, fall in love with writing all over again, and query new manuscripts if you become tired of the old ones. And as long as getting published is what you really want to do, don’t give up. We’re all readers in this business, and the books we like, represent, and acquire depend greatly on personal taste (and timing). All it takes is one well-written query to the right person. That person can just be hard to find, sometimes. After an undergraduate career of interning for a variety of publishing companies, Beth joined BookEnds as a full-time literary assistant in September 2012. While holding intern positions with BookEnds and Entangled Publishing, she worked extensively with romance, mystery, YA, fantasy, and women's fiction novels. During her semesters away from the publishing industry, Beth worked as an editor for two literary publications based on her college campus: Dickinson's student-run literary magazine, and Sirena, an international literary journal managed by the college's professors. 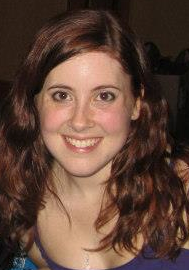 Beth graduated from Dickinson College in May 2012 with a BA and honors in English Literature. She is happy to be back in her native New Jersey and thrilled to be working in an industry she loves. She is an avid reader of fantasy and YA novels and also enjoys drawing, cooking, and spending far too much time on the Internet. Beth currently lives with her family and four cats. Thank you for joining us and giving our readers some insight into the world of a literary agency and its associates. Very nice.